Level with me, did you give up chocolate for Lent? If so, I officially allow you to buy yourself the most beautiful easter egg you can find. While you aren’t allowed to eat it, you can marvel at its high-end design, bask in its shimmery glow and visualise the moment when the thing that was just-too-good-to-eat becomes the best thing you’ve eaten all year. This year, move over fluffy baby chicks, the hen is getting in on the Easter action. 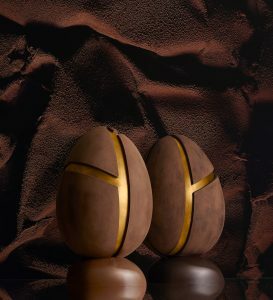 This piece isn’t just ridiculously tasty, with a strawberry couverture over the chocolate hen, but is inspired by the visionary 19th C sculptor François Pompon, making it a perfect objet d’art to have on the coffee table before you snaffle it on Easter Sunday. 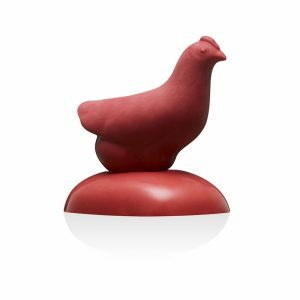 The collection of hens and rabbits range from £31 – £45 depending on the size and finish you want to admire at home. If you are feeling super extra, and happen to have struck it lucky at the work bingo night, the Ouef Infiniment Grand, a limited edition for this year, weighing 25kg may be more your sort of thing. 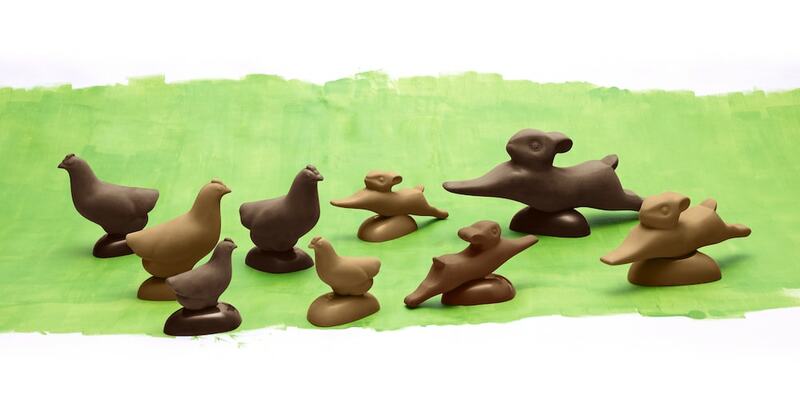 It’s created from Pure Origin dark chocolate from Brazil and homes 3kg of mini eggs alone. Weighing in price-wise at £1,700 you may decide to go for one of the smaller repo’s at £48 – £68 depending on the chocolate you plump for. Finally, looking very mystical and volcanic, enters the Ouef Fragments Egg, which is also new for 2018. 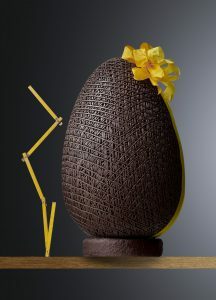 A glitzy egg peeks out from underneath the cracked chocolate exterior – teasing the added treasures (mini eggs, yas!) within. This one come in Pure Origin 64% cocoa dark chocolate from Belize, their signature milk chocolate and blond chocolate which promises notes of biscuit.